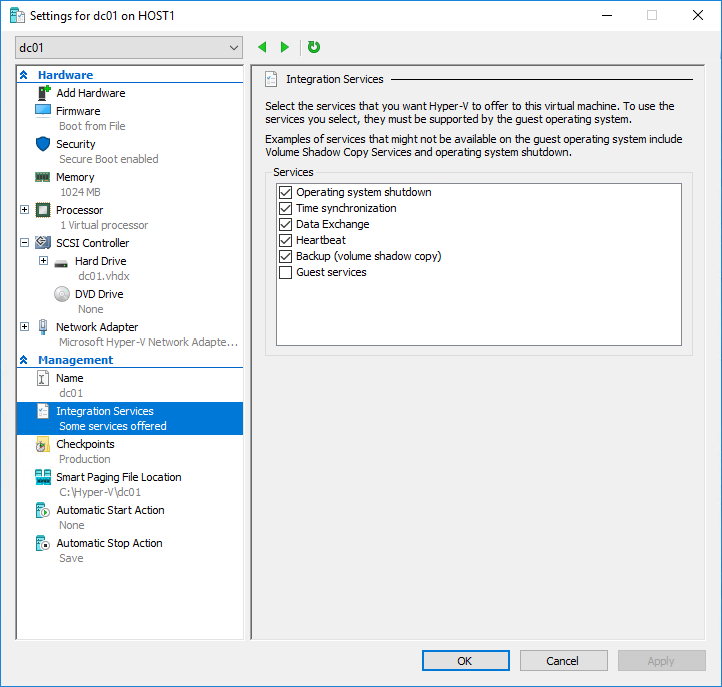 I have been asked a lot about how to configure time in your domain when all the Domain Controllers (DCs) are virtual and running on Microsoft Hyper-V. People will say just stick to a physical DC. However, sometimes this is not an option. In this article, I am going to walk you through the best way to set up time synchronization. When the OS boots up, it looks for a source to find the current time. This is fine when you have a physical box, as it will use the system clock. Virtual machines do not have a system clock. Instead, they will ask the Hyper-V for the current time. When a VM has fully booted up, it will then use the domain hierarchy (if set up) to synchronize its clock at regular intervals. Let us imagine that all our DCs are down, or having issues and not responding in a timely manner. This is when time can start to shift. This will cause the virtual DCs to synchronize with the time on the Hyper-V host causing the time to be inaccurate. This will start a knock-on effect resulting in all machines in the domain to have the wrong time. This will then cause issues with Kerberos, logins, some websites and more. First, we need to check that all virtual DCs are allowed to use the time synchronization Hyper-V integration component during startup and only during startup. This can be done via Hyper-V settings on each host. You should change the above code to a time server in your region. Go here: http://www.pool.ntp.org/en/ to find one. And that's it. The best way to configure time synchronization in an all-virtual environment. If you have any questions or thoughts, drop a message below.